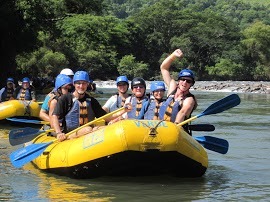 Adventure Travel Mexico. Those three words can be interpreted differently by anyone. For many, traveling to Mexico is in itself an adventure, from slurping colorful umbrella cocktails at a 5-star resort to driving the back roads of the Sierra Madre – adventure is where you find it, often determined by your previous experiences or lack thereof. The first time you walk down a cobbled street in a pouring rain is an adventure, or straying into a local’s-only Mexico City cantina qualifies, as well. That lump in your throat is a sure sign. I have personally driven tens of thousands of miles throughout Mexico and I can guarantee you, every day was an adventure. Entering a small Sierra Madre town on the back roads where few tourists go is an adventure qualifier, as is blowing a tire and remembering that you don’t have a spare or a jack. Ah, but thankfully you remembered the beer – some adventures are more fun than others.Webster defines Adventure as “an exciting or remarkable experience”. That sounds like a good appraisal of life itself, at least for those with the spirit to pursue the unusual. And it sure describes Mexico travel. But for most people Adventure Travel is something all together different. Wikipedia calls it “a type of tourism, involving exploration or travel to remote, exotic and possibly hostile areas. This may include activities such as mountaineering, trekking, bungee jumping, mountain biking, rafting, zip-lining, paragliding and rock climbing.” And it is these more physical pursuits that make Mexico an obvious choice for your next great adventure. I was lucky enough last year to participate in the inaugural ATMEX, an event that brings buyers and sellers of Adventure Travel to Veracruz City so that they can then help introduce Adventure Travel Mexico to the world. It was a fabulous several days with knowledgeable speakers preceded by a trip to the jungles of Veracruz for tent/bungalow camping at Mexico Verde where we white-water rafted, zip-lined, mountain biked and ate and slept extremely well. 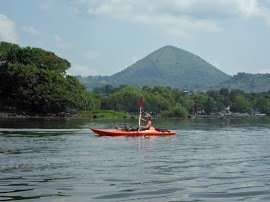 From there it was south to the lakeside town of Catemaco for a day of kayaking. Veracruz may be Mexico’s prettiest state, followed closely by Nayarit, Jalisco and Colima (yes, these are opinions). Veracruz is rich with AT opportunities, but all of Mexico has their own regional focuses, from whale-watching in Baja to hiking remote barrancas in the Copper Canyon (tip: if you see illegal plants being grown, head the other direction). You could spend a lifetime exploring all of the different trips being offered, or by creating your own. Just make the effort…you won’t be disappointed. The next ATMEX will again be in Veracruz August 14 – 17. If you are a travel professional you should consider attending. You can learn more here. Dollars Or Pesos in Mexico? Dave, I agree Mexico is an adventure at every turn and so was ATMEX in Veracruz again this year. It was great to see the commitment from Mexico and learn about, discuss, and even partake in its Adventure offerings. Once again I was reminded of how many more places and things I can (need to) do inside Mexico… Viva!